Looking good! My 220 also had a massive rats nest in the cross member. I'm assuming this is common at this point. From what I was told by a old Volvo parts rep these cars had a very high production cost. The steel was sourced from West Germany. Sent to Plate Steel Stamping in England were the body was made. It was then sent to Sweden for fitting out. thanks for sharing the update, I could read and look at your photos all day long. Great work! Thanks, I enjoy looking at what you are doing on your 142. The missing screw can be sourced locally, a local Ace Hardware carries all of these pitches and screw size. Close, but these appear to be the hinges at the bottom of the two pieces of wood. The plywood is ¼" thick. The top piece is 39 5/8" X 8 7/8". The back piece is 39 5/8" X 10 3/16". I should have one of the brackets. I just need to find it. Ian, Thanks I have been trying to find the dimensions for quite a while. I have heard of several cars that had been stored for a long period having this issue. The parts rep is correct. Volvo did use durable materials in the construction of the 1800 and 120 series cars that accounts for their long term durability. Only the 1961 to '63 P1000 bodies were built and cars were assembled in England by Pressed Steel. The build quality was not up to Volvo's standards and was moved to Sweden and the 1964 1800s and later cars were produced in Sweden. Last edited by vintagewrench; 04-11-2018 at 12:47 PM.. Thanks to Ian at Hi-Performance Auto Service the measurements of the two wooden pieces that make up the package tray behind the rear seat over the rear axle are now known. 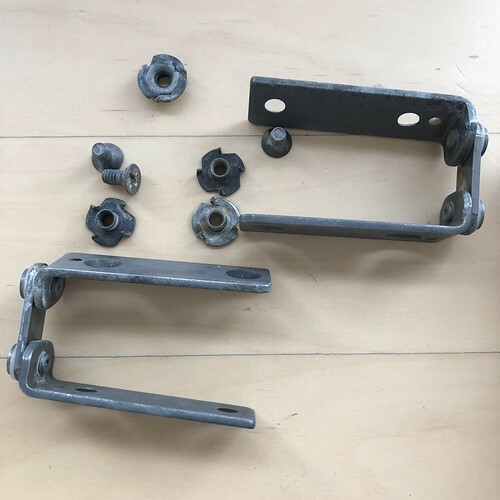 A friend from the mid-west is sending along the two brackets in the photo above that locate and secure the top piece of the tray. Cutting the new wooden pieces will be done later in the month when another friend, an ex Volvo mechanic I used to work with at an independent Volvo repair shop, now a cabinet maker will be here to do some work on the shop building. The new original size shelf will take the place of the taller than original existing one. This 1800S amazing has all of its original carpets that are in very good condition and have been re-dyed in the past. That includes the carpet that covers the tray but was mounted upside down on the replacement tray that is in the car now. The gray section of it visible thru the rear window will be dyed to match, and the original edge binding will be sewn back onto it. 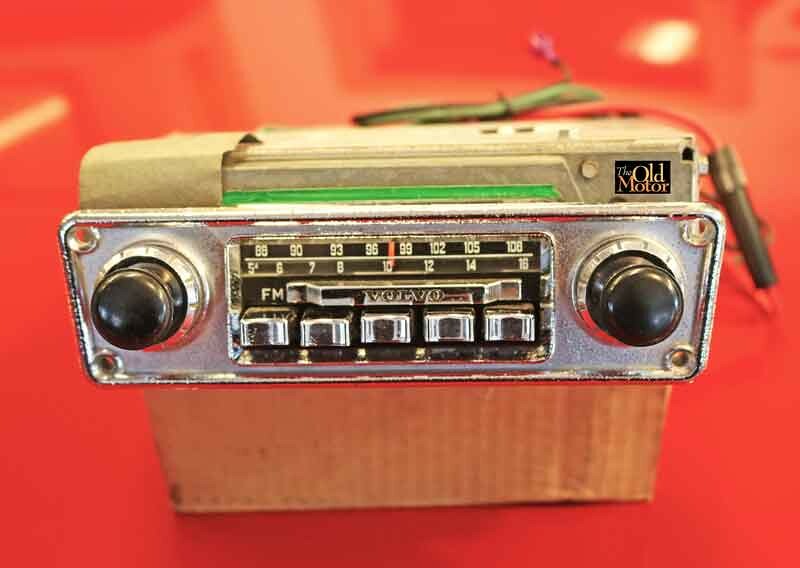 The original optional AM-FM radio below was installed by the Volvo dealer or at the port of entry. I had the buttons and the sliding bar above it re-plated, and then the radio was cleaned, rebuilt, re-wired, and aligned by an old car radio restorer. 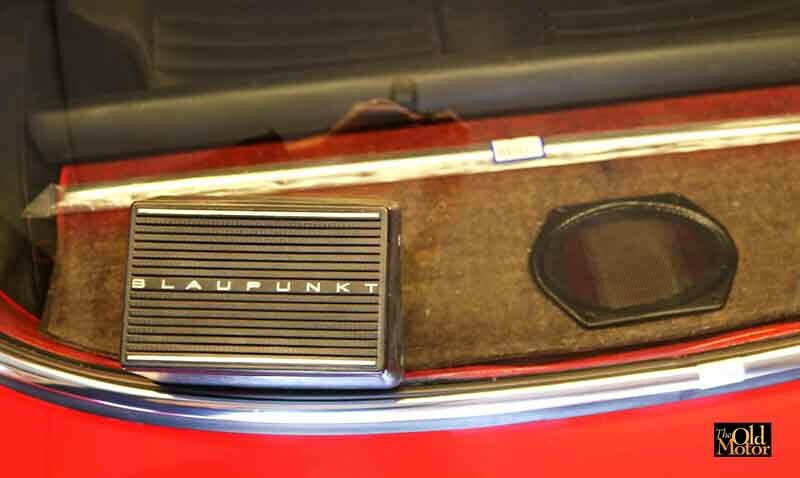 The radio will be connected to either the original speaker and the grille seen on the shelf in the middle, or the rare, German Blaupunkt speaker and enclosure on the left will make up a nice period sound system. Last edited by vintagewrench; 04-11-2018 at 07:20 PM.. 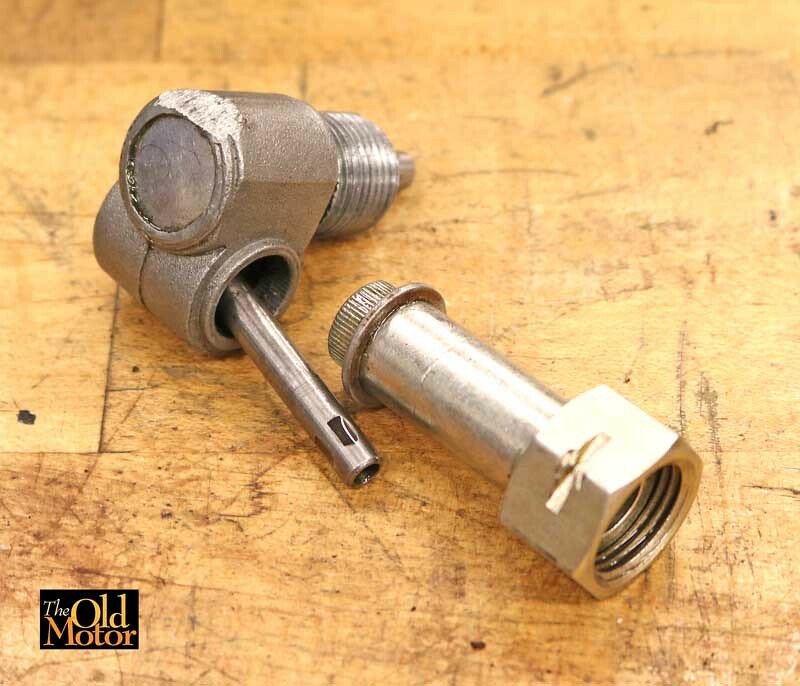 In the fall of 2017 I found a the set of 40 DCOE and 45 DCOEs vintage Weber side draft carburetors that when were taken apart, cleaned and inspected to see if rebuilding them was an option. The progression holes are the same on both carbs, there is no warpage anywhere so rebuilding them should be easy. Also mocked up the Webers on one of two sets of Volvo Competition Department manifolds with a set of Swedish rubber mount/gaskets and Cosworth rubber vibration damping donuts and washers to see if the VCS air cleaner will clear the wheel well. It just clears, but it is too close so I will either fabricate a narrower filter element or have one made. The combo will however will fit a 122s as is. A brace to the engine needs to be fabricated to position the rubber soft mount on the outside of the inner air cleaner half. 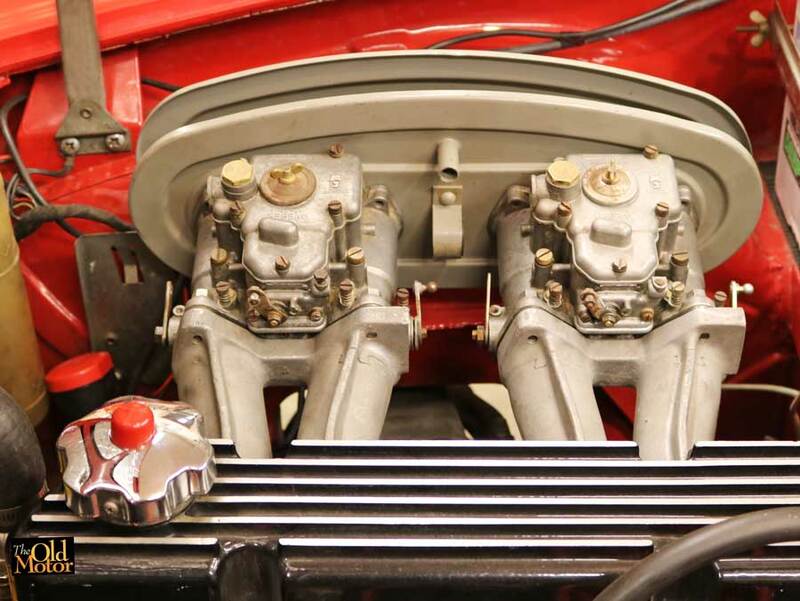 The mount is visible between the carb throats and is inside of a clamp riveted to the inner housing. Was pleased to find out after contacting the Volvo Historic Archive to get a copy of the information on file for this car that it still has both its original engine and gearbox/OD which means this is a matching number 1800s. This information is important to serious collectors, and purists. Last edited by vintagewrench; 12-26-2018 at 12:48 PM.. Question on the matching numbers; aside from consulting Historic Archive is there any way of determining if numbers match? Can you do so by consulting any stamping/casting numbers or is it only recorded on the build sheets? Don't believe there is any other source to find the original engine # for a car other than through the Archive. With the chassis # Lars Gerdin at the Volvo Museum and Historical Archive can give you all of the info including the engine serial # as in the chart I posted earlier. On a B18 the first of the two milled pads on the LH side of the engine below the head is stamped with the engine type # (the tune). The engine # is on the second milled pad. If I remember correctly the B20 numbers are in the same place. You probably know, but many people new to old cars don't know exactly what a numbers matching car means. In this case all the #s on the chart including the engine # match the plate on the pedal box and the engine and transmission. If all of the #s are the same it is a numbers matching car as it left the factory, which is rare. 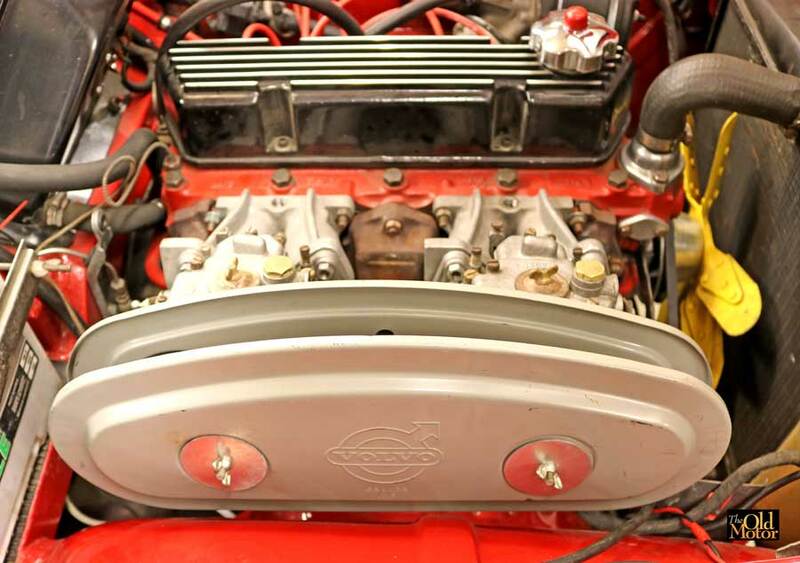 Many of the B18 powered cars that survive have had a B20 engine swap. 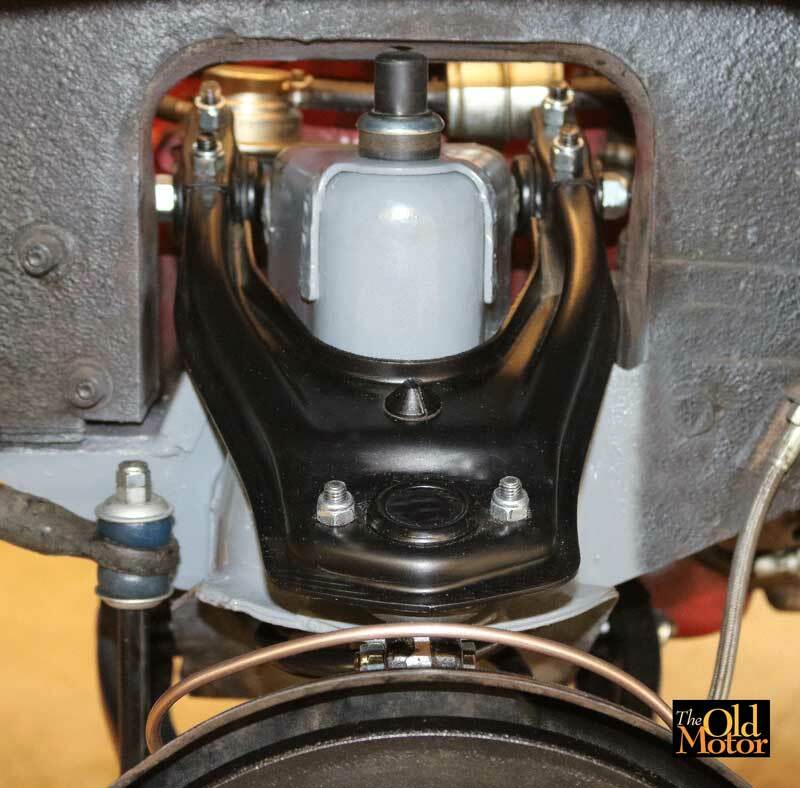 Spring has finally arrived here this week and this is a quick update for today: The upper and lower control arms and all of the re-used front suspension pieces have had the original paint removed in the shop 5-gallon Safety-Kleen carburetor cleaner machine powered by an agitator. 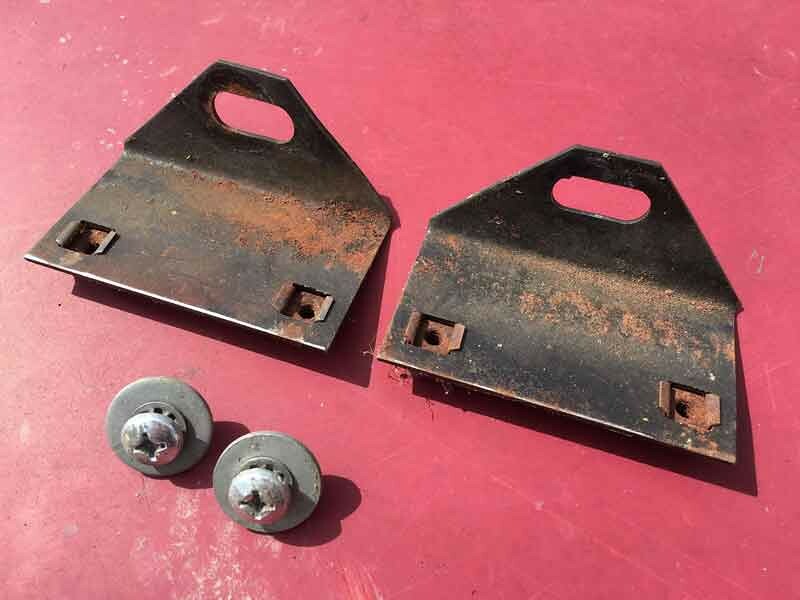 Following the stripping the very small amount surface rust on the pieces was removed with chemical rust removers. 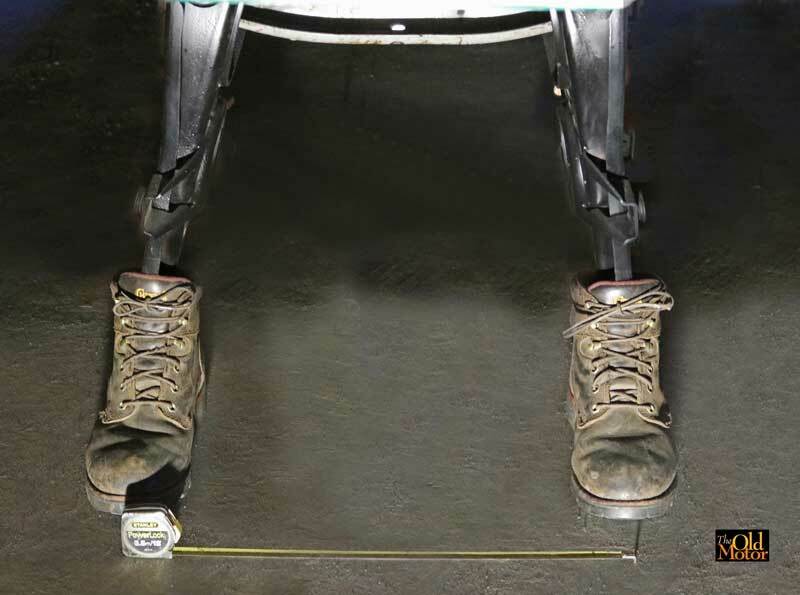 Suspension pieces, coil springs or any highly stressed components should not be abrasive-blasted as the process surface-hardens the metal which can cause cracks to form in the future. All of the pieces were painted here in the shop spray booth with an epoxy primer and a two-part urethane satin-finish similar to the original coating. The car is used often in the good weather months, and no effort was made to have a perfect finish, only to preserve the parts as the car has to be driven on gravel roads every time it goes out. The lower control arms have already been painted, re-bushed, and installed, most of the rest of the parts and new ball joints, steering arms, and tie rod ends will be assembled this weekend. Last edited by vintagewrench; 05-05-2018 at 03:47 PM..
Robo Volvo: We decided to have a little evening fun recently while reassembling the front end during a rebuild. Photo #1 checking the camber. Photo #2 setting the toe-in. Photo # 3 checking the caster. Last edited by vintagewrench; 05-11-2018 at 02:35 PM..
Realy butiful P1800 you got here! Those shoes steel belted or bias ply? Thank you, I was very lucky to find this car, hope to finish the front end up this week and get it back on the road for the season. "Wibram" tread radials. 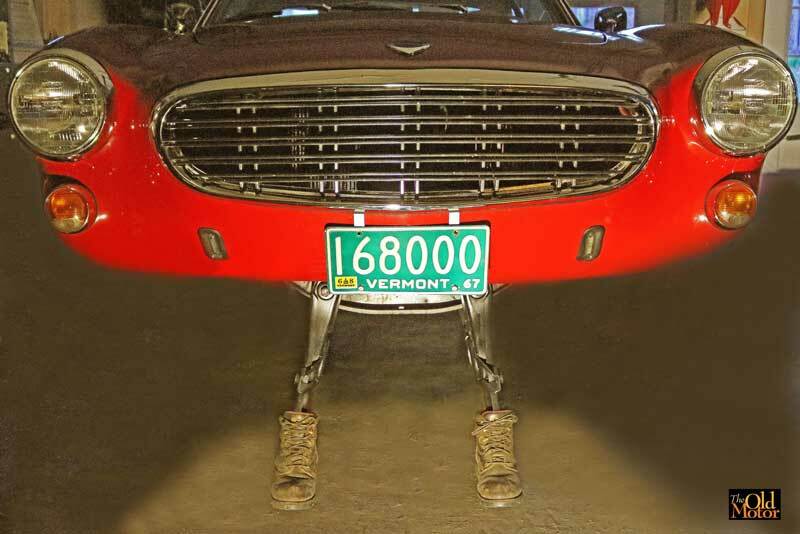 Perfect for the Vermont country gravel and paved roads. The 1967 1800S covered 275 trouble free miles after being put back on the road for the season and driven on Friday, Sunday, and Monday. In the off season the front axle and front brakes, were rebuilt and restored. 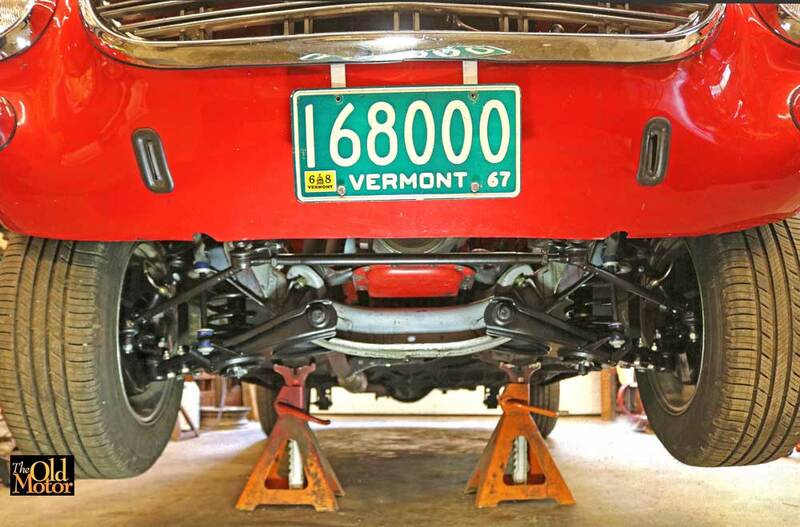 The crossmember and welds are in excellent condition w/out cracks and the original paint on the front and rear was cleaned up and left as original because the car has newer suffered from any rust ever. 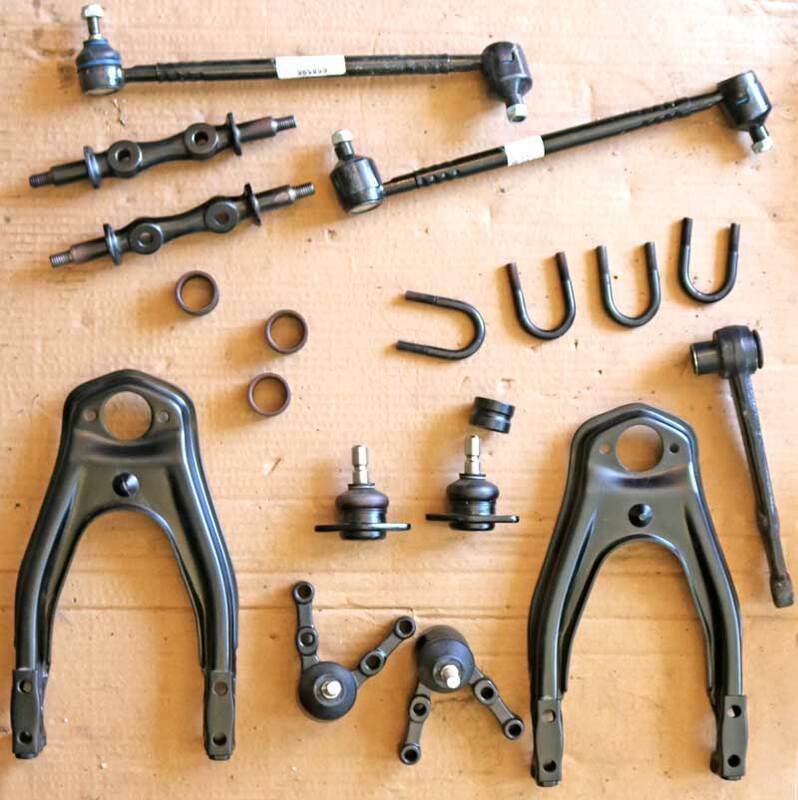 All the control arms were re-bushed, and new ball joints, tie rod ends and outer steering arms were installed. The calipers had been split and rebuilt a few years ago with new old stock Volvo pistons and only needed to be cleaned. The uncut original rotors only have a max of .005" runout and only needed cleaning and repainting. 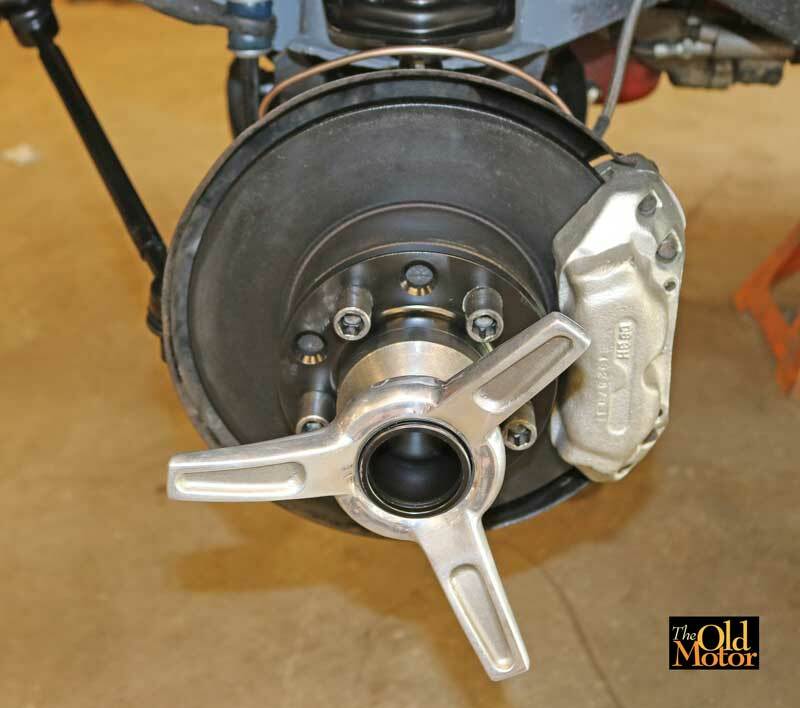 New nickel-copper lines replaced the original ones to the calipers. Learned from other mechanics and drivers that run newer cars (post-WWII) at vintage races I work at and also drive in some of the time that EBC yellow racing pads made in the UK work extremely well. 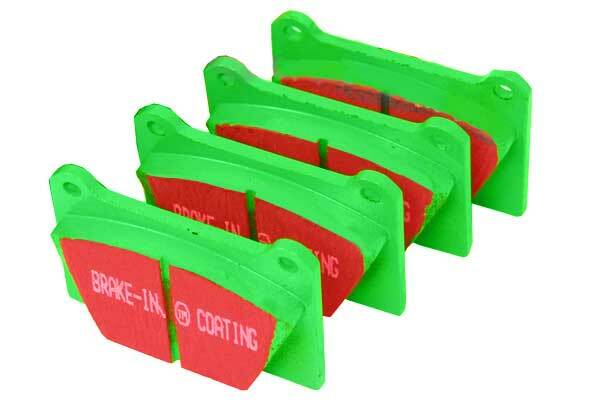 Also the EBC Green Stuff kevlar pads work better than most on the street and offer 15% more stopping power. Have been using them for a while and they work super well. For this car the green paint was cleaned, scuffed up, the faces of the pads masked and the sides and steel backing was painted w/heat resistant black paint. After the break-in-period was over ended up with the best stopping power of any of the 122s and 1800s I have owned and driven. Last edited by vintagewrench; 05-22-2018 at 01:57 PM..
Yeah, most people here poopoo the ebc green pads but I have used them for several years and am very happy with their performance. They make a bit of dust but it's also easy to clean. For daily street use they only lasted about 20k miles but it was well worth it to me. You've got one of the finest 1800s. Thanks so much for sharing this wonderful car here. I really enjoy seeing how things are going with it. I've been using the Green Stuff pads on the shop truck for a year as a test, it's a one ton and my enclosed car trailer can weigh up to about 8,000 lbs. loaded with a heavy old car, it also stops better than it ever did with a big load. I only put about 5000 miles on it a year and, probably about the 7500 miles on the 1800s so the pads will hopefully last me a long time. Thanks for the complement on the car, I was lucky to find a never rusted or hit example like this where most of the restoration had been done. I'm in the old car resto business and know that it is less expensive in the long run to buy a good car that has already been correctly done. Because of your picture I assume you used to have a 120 series car? If so what did you have and was it stock or modified? Last edited by vintagewrench; 05-24-2018 at 12:43 PM..
Are those Girling 3 puck calipers in the photo with the knock offs? If so do you have a part # for the greenstuff pads? Are you using 2000, 6000 or 7000 series pads? After the 200 mile break in and the final bedding in, my seat of the pants feeling is telling me there is more braking power than the Volvo OEM semi-metallic pads that the PO had installed. 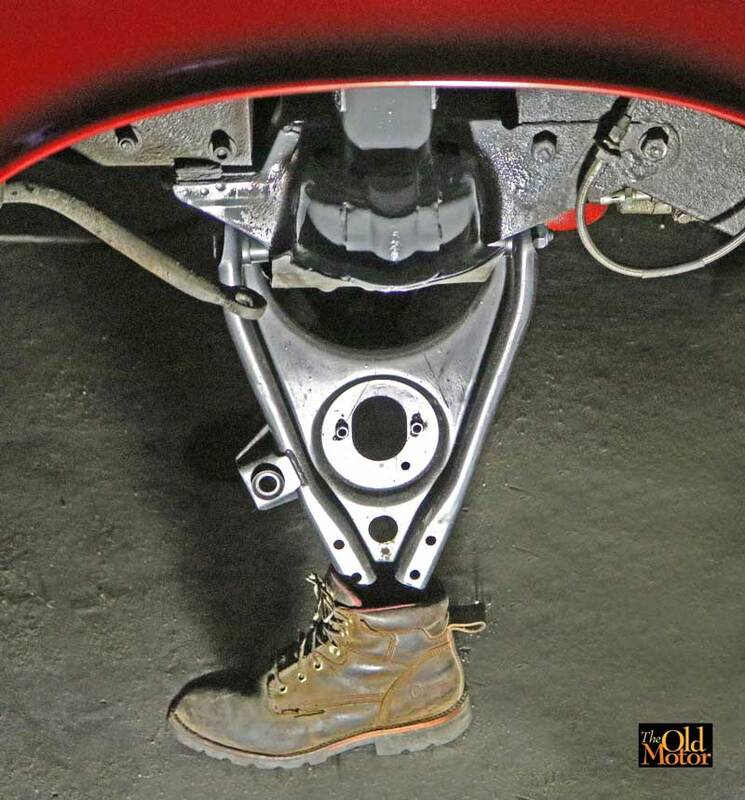 Hope you have the same experience if you try them on your car. Eight days on the road as a daily driver and over 500 miles later the '67 1800s is doing quite well for itself and has been a pleasure to drive. The three or four-year-old Interstate battery the PO installed died due to a bad cell (I was able to bump start it and make it back to the shop.) It was early on a Sunday evening and all the parts stores were closed. The only batteries kicking around in the shop were 6V units and this small 450 cranking amp Optima. It was installed in a 1914 Mercer Raceabout just before I shipped to Monterey, CA in 2012 for the Pebble Beach Concours and the Montery Historic races and used only for the two events for a client. When the car was shipped back it was pickled and stored. The battery was only used for one more race meet in 2013 in 1914 Duesenberg racing car and since then has been sitting around and now presumed to be DOA. It checked out to still have 12.6 volts in it so it was put in the car, which then amazingly started right up, and after a charge has been in service. Have been using these batteries for years on clients cars and never cease to be impressed with the staying power and long life that Optima packs into them. 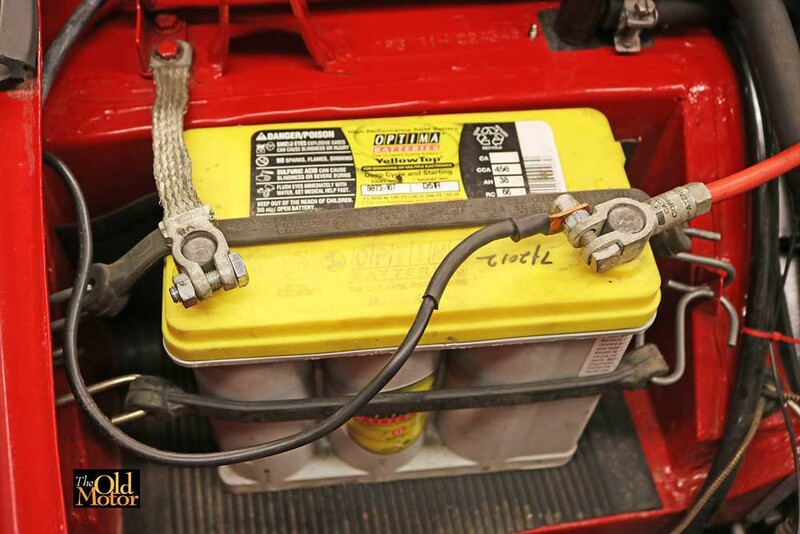 Please EXCUSE the bungee cords - will make up some shorter J-hooks for the holder, tidy things up a bit and use this battery for the rest of the season. The right angle speedo drive on the back of the OD was missing when the car was purchased last year and this repro unit was just added to replace it. Only 375-miles later the knurled end on the tube and drive connection to the trans and the die-cast body that houses the gear set parted company due to not having a tight enough press fit at the connection. There was some slack in the cable when it was installed so the failure was not caused by the cable pulling on it. When it fell off and started bouncing on the road, the driveshaft and dragging, it sounded like a small bell going on and off repeatedly, and I was able to quickly pull over to see what the problem was. The angled section and the cable were found laying on the ground under the car. Just the cable itself was reinstalled to keep oil from leaking out and a good original unit will be installed when one is found. I still have that car! It is my barn stored 67 123GT. I've stored it after not driving it for many years. It only had a few changes. IPD bar on the front. Some engine upgrades like a cam and head work. The engine was rebuilt by the previous owner but it sat too long and after using it for awhile back in the 90s to the early 00s. It needed a lot of work so I have stored the car since then. The previous owner put a green interior in it from another 123 that he had and it didn't have the aux lights when I bought it. Other than that it's all there waiting in the barn. (sigh). Thanks for asking about it. Sorry for a bit of a thread jack. Now back to our regularly scheduled 1800 conversation.